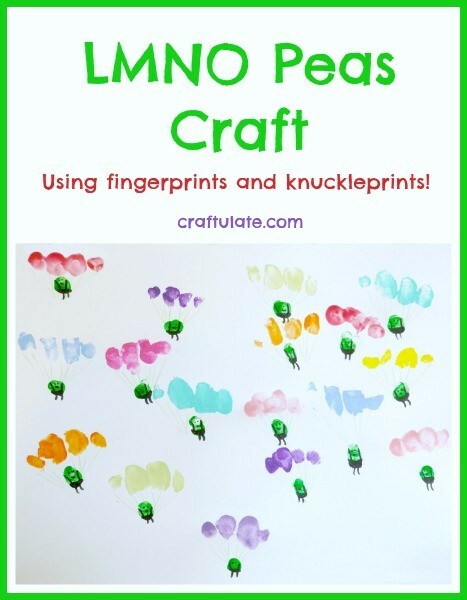 This LMNO Peas craft recreates the parachuting peas by using fingerprints and knuckle-prints! 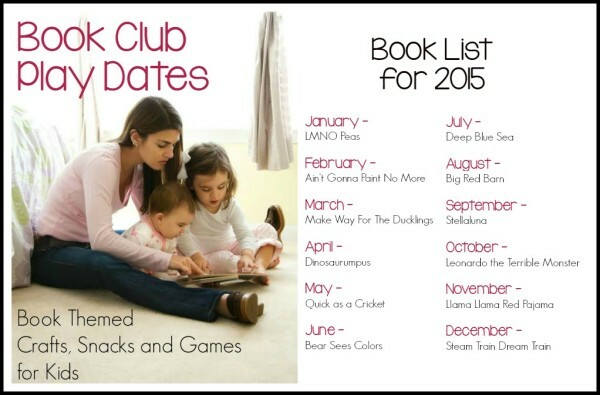 I am delighted to be joining a group of talented bloggers this year for a new monthly series called Book Club Play Dates. This month we are focusing on the book LMNO Peas, by Keith Baker. 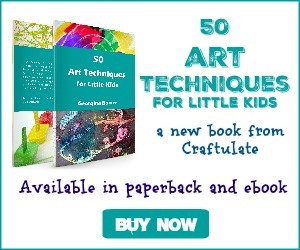 This book features cute little pea characters that take on different occupations and roles, starting with each letter of the alphabet. I decided to recreate a really fun page that shows the peas parachuting! 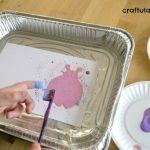 We made the parachutes by using knuckle-prints! Well technically we used the parts of the finger between the two knuckle joints, but you know what I mean! There are quite a few different colours of parachute on the page, and I wanted to copy it as faithfully as possible. 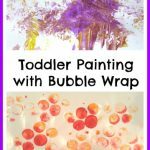 It took a little while because each time I’d paint F’s knuckles, we’d make the prints, clean his knuckles, and start again with a different colour. He was very patient and shouted out the next colour of paint that we needed. But we did complete this in two sessions! Once the paint had dried, I used a green pencil to draw on the strings of the parachutes. Then F made fingerprints for the peas. He didn’t get the positioning exactly right each time, but it was close enough! Once the green paint had dried, I added harness and face details to the peas. We had a great time discovering this book. If you want some more ideas for LMNO Peas then check out what my co-hosts have been up to!